Get back on the road safely with reliable towing in Columbus! Having your car break down is such an emotional experience. You’re stuck, you can’t do what you had planned, you’re late for work, you’re demanding things from friends and family—we get it. Nobody is ever prepared for their car to break down—that’s why most tows are emergencies. It never happens when you’re just out for a fun drive. You always break down or have an accident when you’re on your way to pick up the kids from school or you have an important meeting that can’t be missed. It’s important to have a towing service on hand just in case. When you’re out driving, having a roadside assistance go-to—like us—can be a lifesaver. We respond fast so you’ll be taken care of quickly. That’s why we founded our business. So Columbus drivers like yourself don’t have to deal with the hassle any more. No one should be stuck in the middle of the road for a long time. That's why our Columbus servicemen use the very best equipment for a fast and damage-free recovery. It should go without saying, but have you met some people? If someone in your accident is seriously injured or you think they may be hurt, CALL 911 before you call us. Have your location figured out by looking at the surrounding intersections or street names. 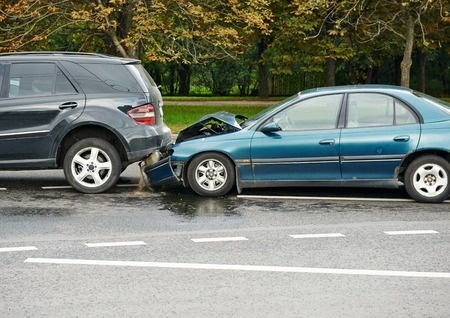 Know where you want to take your vehicle and contact your insurance company. If you need help with any of these steps, let us know and we’ll offer our assistance gladly. If your company car, truck or fleet needs a tow, we have great commercial rates for business and property owners. ​Do you need a wheel lift? Our innovative towing equipment is not only compatible with a variety of vehicles, it also negates the need for you to purchase another tow truck or a rollback. ​Our flatbed trucks are powerful enough to hold and haul a large amount of weight. Broken down tractor trailer? Easy peasy. Each of our trucks were built to last the test of time. So if you’re in the Columbus area and need a tow, you know who to call—us! ﻿​Don’t stress about how to move your motorcycle. We have the right equipment and tie downs for your sport bike or cruiser and will deliver it wherever you want.